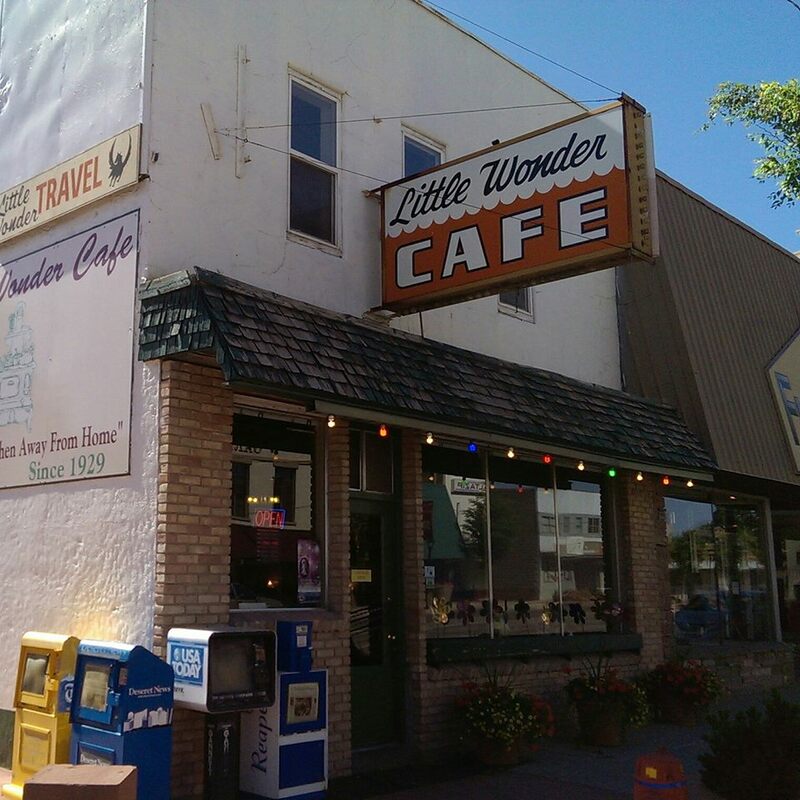 It's little wonder that Richfield's Little Wonder Cafe has survived on US 89 since 1929. Back then the cafe carved out a niche for "home-style food when away from home" and it's stayed true to that niche ever since. Places like the Little Wonder could never survive on travelers alone. It's the local folks who help keep the Little Wonders of The World in business through the generations. That said, it's very likely that the Little Wonder did a box office business in the first 2-3 decades of US 89's existence, especially in the 1930's and 40's. There weren't many places to eat between Panguitch and Richfield and it was a long haul to the Sevier Valley. We can easily imagine many a carload of hungry travelers ready to clean their plates at The Little Wonder. Interestingly, it's said that the Richfield restaurant got its name from the Little Wonder percolator. The ad shown here is from a 1912 cookbook so apparently the Little Wonder was well known long before 1929 when the Richfield cafe took its name. The restaurant was mentioned in a July 2016 feature by the Salt Lake Tribune that said, "This cafe is the center for activity in this tiny south-central Utah town. Named after the Little Wonder percolator that originally made coffee for guests, it serves "world famous" breakfasts and chicken-fried steaks, says owner Francie Stubbs, who worked at the cafe for two decades before buying it. Originally a home, the building was later turned into a cafe with a motel upstairs. "There are rumors that it once was a brothel, too," Stubbs said." The Little Wonder's Facebook describes the establishment this way, "Here at the Little Wonder diners experience good ol fashioned American cuisine combined with a quirky, fun atmosphere making you feel at home." Reviews for Little Wonder Cafe.